inspired fiction. So many knock-offs I believe you could read nothing else and never be without a new book to read It seeps we cannot get enough of Lizzy Bennett and Fitzwilliam Darcy. This one gets a genuine stamp of approval as it is the effort of the acclaimed author of PREP and AMERICAN WIFE. The contemporary premise of this well known novel of manners is a Bachelor-like TV production which casts sister Jane and Mr. Bingley. The further modern twists to mirror those of the original P&P are inspired. A great gift for any woman on your list, and a wonderful way to get your feet wet if you've never read the Austen version. 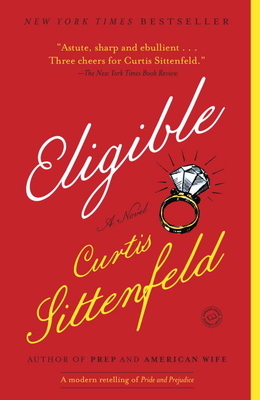 And you can't go wrong with any Sittenfeld title.